A survivor in the wild needs as many multi functioning tools as possible, and this set gives you two versatile options. 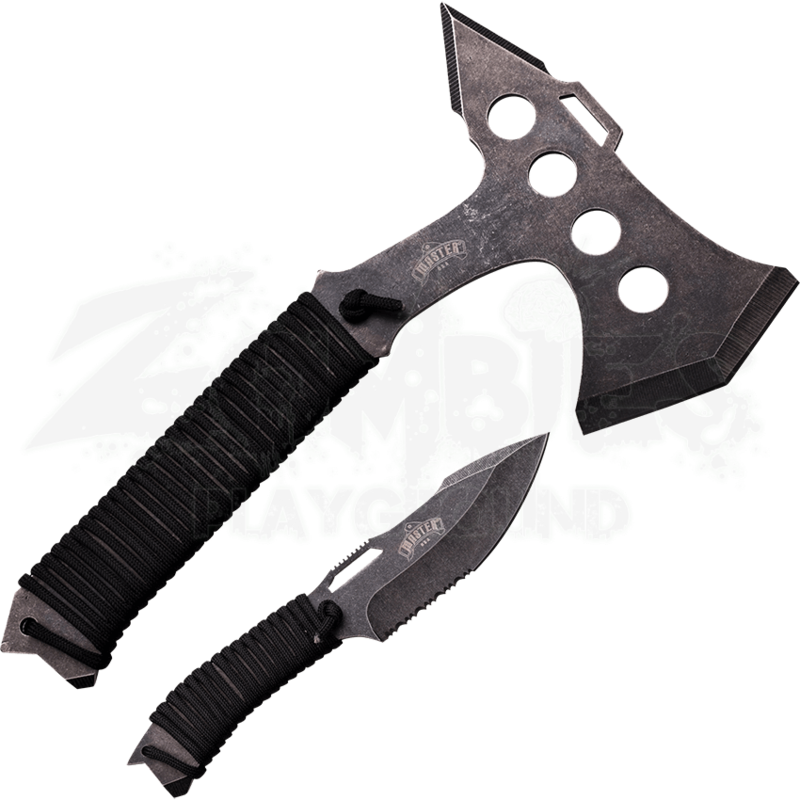 The Tactical Tomahawk and Knife Set is a great addition to any reenactment, survival, martial arts, or camping kits. 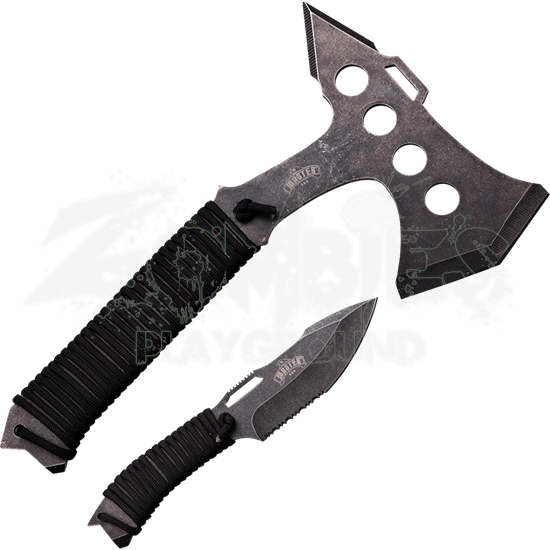 Perfect for throwing in a competition or for use in a survival situation, both items in this set are made from full steel pieces. Their grips are strong thanks to black paracord wrapped around the handles of these weapons. The knife has a drop point blade, while the tomahawk features a specialized bit that concentrates force onto a slanted point. The stone washed look of this duo gives the Tactical Tomahawk and Knife Set a uniquely aged design that will stand out wherever you choose to use it.